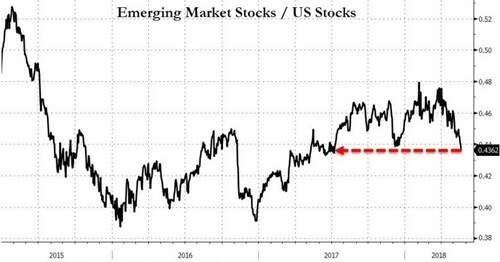 Emerging markets are deemed to be more speculative than the more mature U.S. stock market. 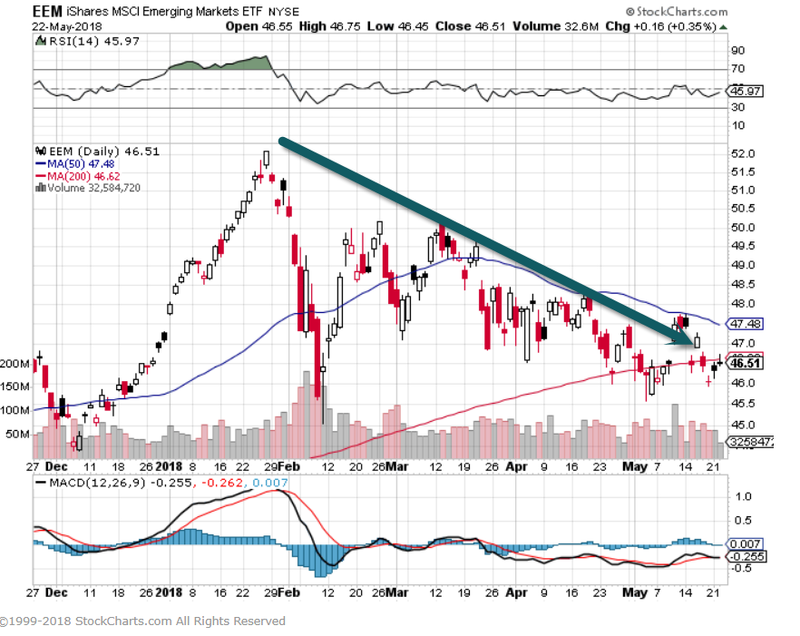 A rising emerging markets/U.S. 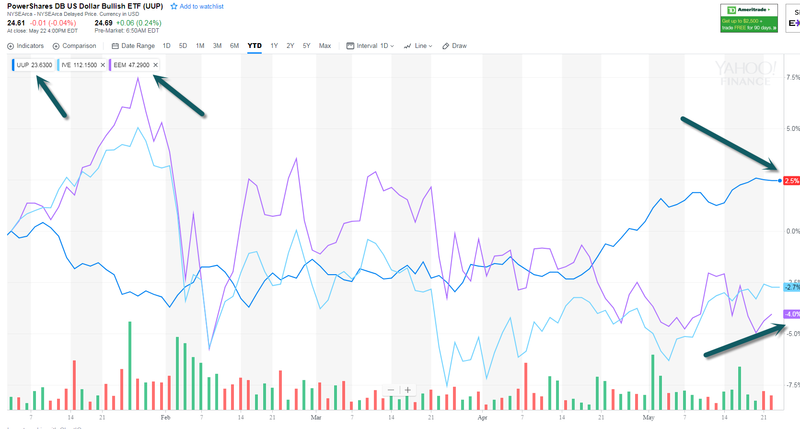 ratio means that investors are willing to take more risk, which bodes well for global markets and the U.S. A falling one usually portends less risk appetite and a more negative mood, which sometimes spills over to global markets and the U.S.
3.Emerging Markets Still 10% Off Highs. EEM ETF 10% Below Highs. 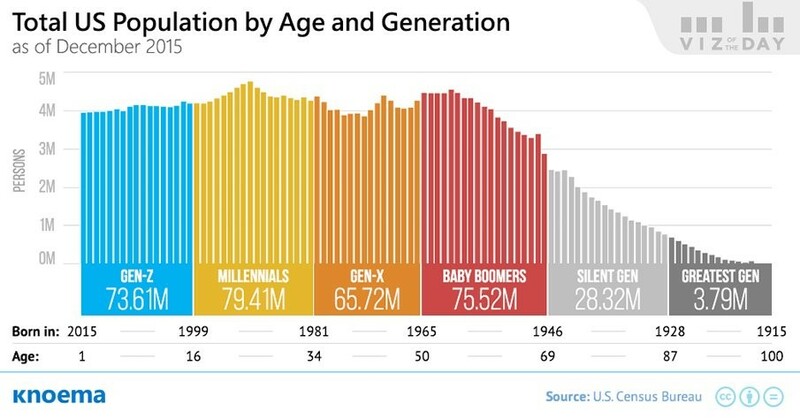 4.U.S. 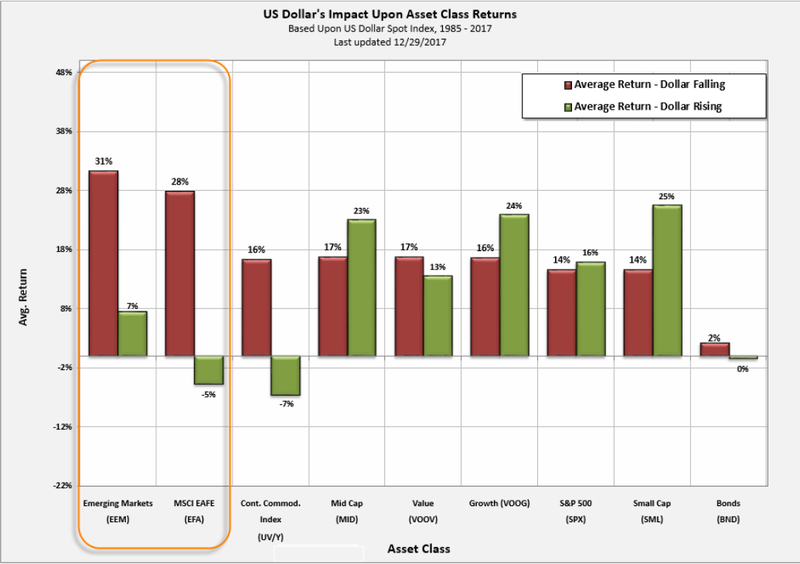 Dollar Impact on Asset Classes. 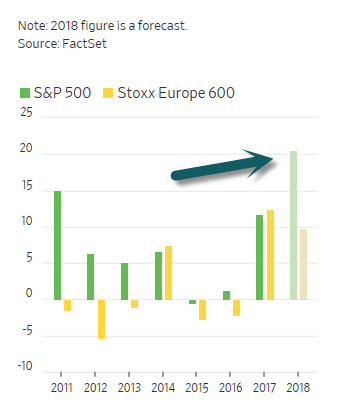 5.Europe—Companies in S&P 500 on Track to Grow Earnings 25% vs. 6.5% For Stoxx Europe 600. 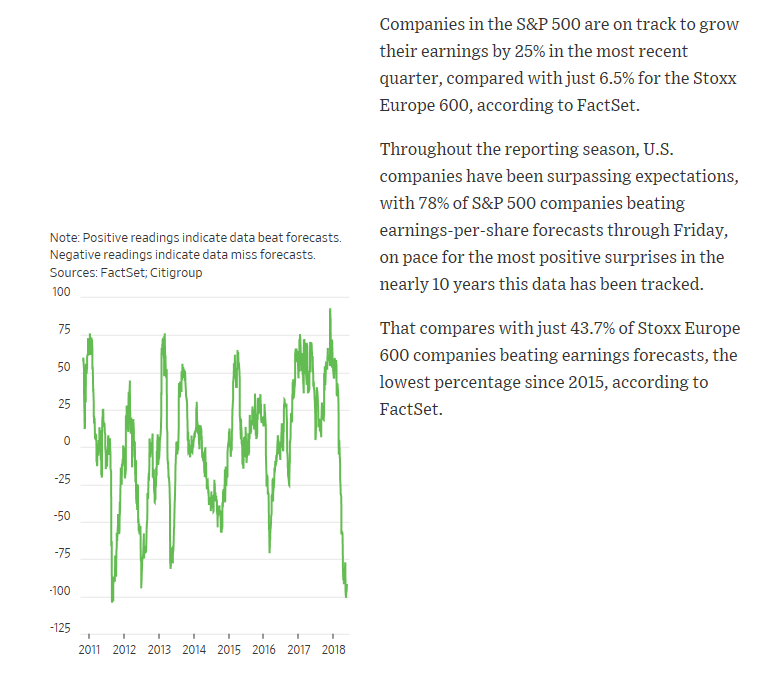 Can S&P Sustain Pace? 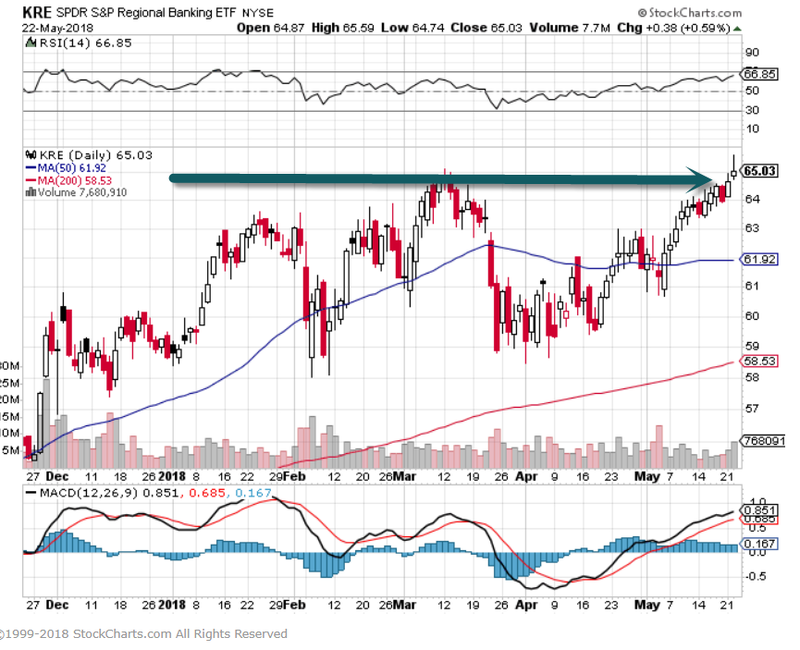 6.Congress Rolls Back Bank Regulations…Regional Bank Index Hits New Highs. SIFI banks are subject to increased regulation, including the need to undergo the Federal Reserve’s stress tests that model the banks’ ability to weather financial and economic downturns without causing a threat to the larger economy. These regulations can make it harder for a bank to effectively lend and reduce profitability. The Crapo bill would immediately increase the SIFI threshold to banks that hold over $100 billion in assets from the current $50 billion level. It would raise that threshold to $250 billion after 18 months. This is significant for larger regional banks like SunTrust, BB&T, and Fifth Third Bank. In all, the number of institutions subject to the harsher rules would drop to 12 from 38. 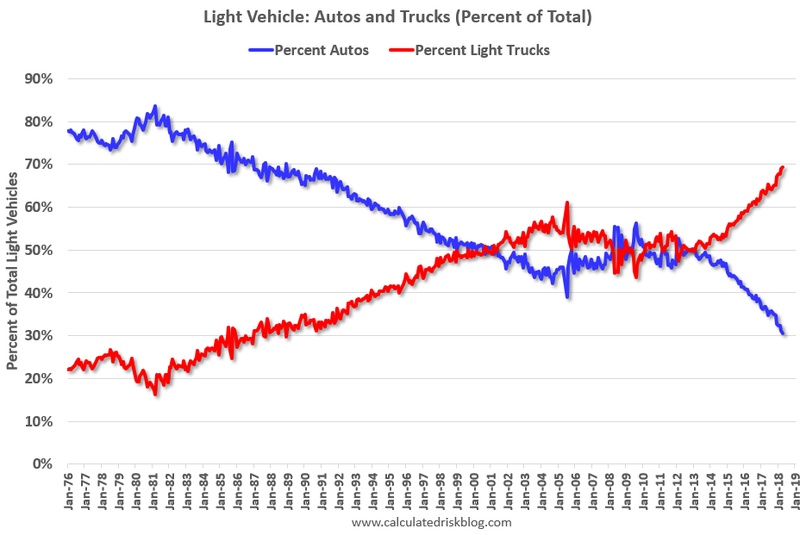 Light Truck Sales Surpass Autos. 9.Read of the Day…How Much Of The House Do You Actually Use? Do you NEED this much space? So, are we finally coming to our senses about McMansions? Of course, owning a big house has long been a key component of the American Dream — you know you’ve arrived when you have columns, an indoor pool and a theater room — but, in reality, it’s all usually a huge waste of space, according to a study cited by Steve Adcock on the Get Rich Slowly blog. 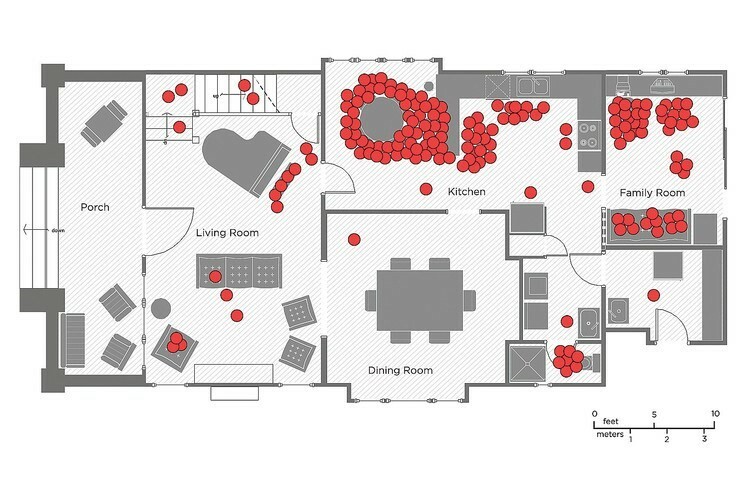 As you can see, most square footage is wasted as people tend to gather around the kitchen and the television, while avoiding the dining room and porch. And Adcock knows a thing or two about utilizing space. Like the family in the illustration above, he used to spend all of his time hanging out in the kitchen and family room in his 1,600-square-foot home. Now, after managing to retire from his full-time gig at the age of 35, he lives his version of the American Dream in an Airstream trailer with his wife. That said, we’re in the middle of an Order of Man Readathon right now. If you head to my Instagram profile, you can see what we’re up to. Until May 24th, 2018, you can post a book you’ve completed between now and then and use the hashtag #OOMreadathon and tag me @ryanmichler and you’ll automatically be entered in to receive a book bundle I’m going to be giving away the end of May. And, the more people you tag during our readathon, the more chances you’ll have to win a book bundle. Again, head to www.instagram.com/ryanmichler, post a book as you finish it for the next 30 days, use the hashtag #OOMreadathon, and tag your friends for our bhttp://www.orderofman.com/leaders-are-readers/ook giveaway.